Awww I hate when people mess with innocent animals It was sammie that jumped up there the one that you created for me which i love Thanks again ! He is ok and sleeping on my couch I on the other hand am trying to beat Kingdom hearts two! I tried to bake another cake my cat jumped on my little oven burned his paws and ruined my cake hes ok though I fixed his feet up Now I'm upset about my cake but I bet he won't do that again! I am wondering if i can make a dr pepper cake yummy! I must have worked on it for about 2 hours but it was worth it! 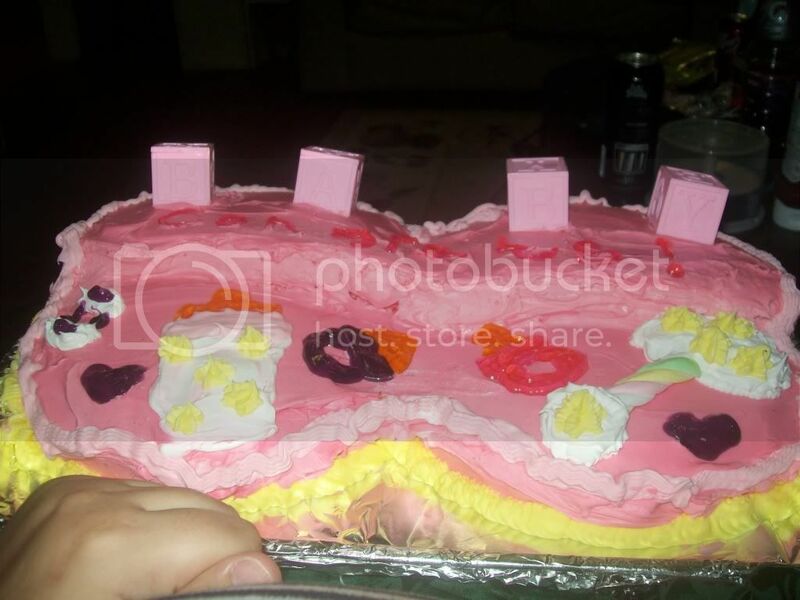 At jinxismycat it was a baby shower cake for my sister in law it was chocolate on the bottom and vanilla on the top which i dyed pink cause shes having a girl with vanilla icing dyed pink here is a picture,apparently I'm very good at it because this was my first cake Ive ever made! Im currently drinking a glass of chocolate milk and debating on if i like my new haircut! Now I am baking a cake! Eating tater tots and hot dogs! Does anyone know where i can get the mesh for this the site it was on went down but id really love to have it again. Thank you. Sorry what ep do you have? Mine says some are missing but i have all of them I don't understand it! He is awesome. He looks just like my baby. Thank you very much he follows me around all day everywhere I go he goes so it doesnt seem right not to have him in sims following me around ! i agree but he looks amazing thank you. Any luck with my kitty ? If not its ok I am just wondering.